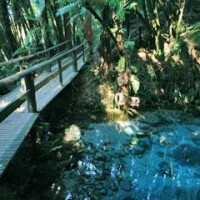 Things to do in Rotorua! 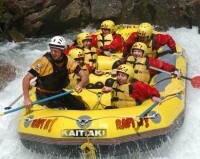 Rotorua is amazing place to do a lot of amazing stuff. If you are in Rotorua then you can not miss to do the following things, and if you do miss them then you will miss a hell of an experience. This is your opportunity to combine your cultural experience with an enchanting visit to Rainbow Springs Nature Park by Night. Following your visit to Mitai, you are escorted through the bush to start your night lit extravaganza of the Rainbow Springs Nature Park. 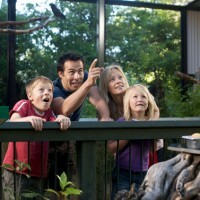 View wildlife and bush under an array of coloured lights. This is a truly magical blend of Maori Culture and Nature in a unique all-in-one night time package to be remembered forever. 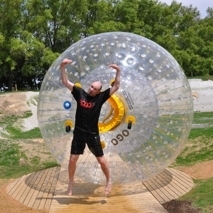 Making the most of Mt Ngongotaha’s grassy slopes The OGO is a new crazy fun activity for Rotorua. The OGO is a 3 metre transparent sphere lovingly constructed from over 100 square metres of plastic, more than 1,000 little plastic anchors, about 600 multi-coloured strings and endless hours of welding, glueing and tieing combined with sweat, tears and billions of teensy little kisses to make a beautiful big ball that you can jump inside and roll down a hill. New Zealand is truly unique, from the wonder of our natural landscape to the huge array of wildlife, flora and fauna. At Rainbow Springs it’s all at your fingertips. Where else can you get close to native kiwi birds and tuatara – the magnificent living dinosaurs – all nestled amongst a spectacular native bush setting with spring-fed pools of rainbow trout. Shop for souvenirs or dine at Wairere Cafe - Rainbow Springs has something for everyone. Share in the Powhiri - our traditional ceremony of welcome before you are invited into the Pre-European village nestled within the ancient Tawa forest. With bonfires blazing, here you will witness time honoured crafts and past-times of the Ngati Tama people. At the heart of the Village, enter our Meeting House for a powerful and entertaining Cultural performance. 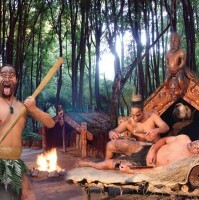 Then celebrate with our people, as you dine on ‘hangi’, a mouth watering feast, cooked beneath the ground on hot rocks. An amazing 3.5 hour evening re-enactment, based on historical events, with real characters, authentic arts, crafts and powerful song & dance. Respect Wairua(spirit)-Our Karakia(prayer) is delivered prior to all trips, allowing us to show respect to the people of the river (Ngati Pikiao) - those who live now and those of years gone by. Live life on the edge at Agroventures and take on New Zealand’s most diverse array of adventure activities with the Agrojet; accelerate to 100kmph in just 4.5 seconds, Swoop from 40metres sky high, Rotorua Bungy – plummet from 43m above the scenic Ngongotaha Stream, learn to body fly with Freefall Xtreme and break a world record pedaling the Shweeb, just 10km North of Rotorua City. Great value package deals available.